The Emmerdale Waltz is another favourite New Vogue dance sequence. It has some lovely graceful moves but requires good co-ordination between the male and female partner to look good on the dance floor. It is a 16 bar dance (see paragraph numbers) and each bar comprises a 1-2-3 movement. It is done to a 3/4 time at 30 bars per minute. The dance was first choreographed by W.J. Crook in 1979. It begins with the man on the outside, facing “diagonal to centre” down the line of dance. The man and woman are in ‘closed hold‘. We are about to do a four-part anti-clockwise rotation, otherwise known as ‘quarter reverse turns’. 1. The first turn sees the man stepping forward with his left (1), right foot to the side (2), then together (3). They rotate in the process, ending with the man facing to the centre and the woman to the wall. 2. For the second turn, the man now steps back on his right foot down the line of dance (1), left foot to the side (2), then together (3). They rotate again and finish with the man facing against the line of dance and the woman facing down it. 3. The third turn sees the man step forward with his left in a ‘diagonal to wall’ direction (1), right foot to the side (2) and they close with the man facing the wall and the lady toward the centre (3). 4. The fourth and final turn in this four-part sequence, starts with the man stepping with his right foot back against the line of dance (1), his left to the side (2) and closing together the final rotation with the man facing along the line of dance and the lady against it (3). 5. The first step-point:- From the last position, i.e. the man facing down line of dance and woman against it in closed -hold . . . . . the man steps forward with his left foot along the line of dance (1) and points his right foot in line with his partner (2,3) as the lady moves her right foot back down the line of dance and points with her left, in line with her partner. 6. The second step-point results in both partners ending in promenade position. The man moves his right foot forward diagonal to wall (1) and commences turning into promenade position. He then points with his left along the line of dance (2,3) as they both open up into promenade position facing along line of dance. The lady goes back with her left diagonal to wall and points with her right as they open into promenade position. 7-8. The Solo Turn. The man then steps down the line of dance with his left foot (1) and brings his right foot across it in what is called a ‘contra body movement position‘ (CBMP) going into a spin turn in anti-clockwise direction, coming to rest facing against the line of dance in a promenade position, taking up double-hold with the lady. The lady begins with her right foot down line of dance, bringing her left foot across in a CBMP, spin turn clockwise into promenade position taking up double-hold with the man. 9-10. The man now moves his left foot forward followed by his right in a CBMP which brings him to face diagonal to wall in promenade position along line of dance, as he brings his left foot behind his right in a ‘whisk’ formation. This whole sequence is known as a ‘fallaway’. The lady does the same, only it is her right foot forward, then left in a CBMP, bringing her right foot behind again into the fallaway whisk, facing diagonal to centre along line of dance in promenade position. 11-12. We now come to the “wing” part of the sequence. The man steps forward diagonal to wall, taking up ballroom hold, bringing his right foot together with left. The lady, commencing with left foot forward, circles her partner to the left in three steps. Both partners proceed into an open telemark followed by a check (man) and contra-check (lady) – the man with his left forward and the woman, her right backward, the man diagonal to wall along line of dance and the lady diagonal to centre, against it. 13. The man moves his left foot forward square to his partner facing diagonal to wall against the line of dance. At the same time, the lady moves her right foot back diagonal to wall against the line of dance. The man replaces his weight to the right foot, diagonal to centre and the lady replaces her weight to left foot, diagonal to centre. The man brings his left foot to the side along the line of dance and the lady, her right foot to side along line of dance. 14. The man then moves his right foot forward diagonal to wall outside his partner on the lady’s right, turning right. The lady moves her left foot back diagonal to wall with her partner on the outside. The man brings his left foot to the side, diagonal to wall and continues turning right. The lady brings her right foot to the side diagonal to wall and continues turning in the same direction. The man then closes his right foot to his left, facing against line of dance, while the lady closes her right foot to her left, facing line of dance. 15. The man brings his left foot back along the line of dance in a CBMP, turning right to face the line of dance. The lady brings her right food forward along the line of dance in the same Contra Body Movement Position, turning right to backing the line of dance. The man’s right foot then comes down the line of dance, turning right to face diagonal to wall. The lady’s left foot comes back down the line of dance, turning right backing diagonal to wall. She brushes her right foot to her left, without placing her weight on them. 16. The man then brings his left foot back diagonal to centre against line of dance, while the lady moves her right foot forward diagonal to centre, against line of dance. The man’s right foot comes back diagonal to centre against line of dance and the lady’s left foot moves forward diagonal to centre against line of dance. The dance ends with the man’s left foot to side to centre, turning left to face line of dance. He close his right foot to left, ready to begin again. The lady brings her right foot to the side to centre, turning left to backing line of dance, then closes her left foot to her right, ready to begin again. Then they start again . . . . . for as long as the music lasts. Have just come across your site.The dance step descriptions look very readable and understandable. I look forward to reading and following them. Do you have descriptions for the Dominic Waltz and the Lattice Waltz? Curious as to why you have the Emmerdale Waltz classified as a New Vogue waltz. Was it scripted in Australia or the UK, does anyone know? Re Emmerdale Waltz New Vogue classification as previously mentioned by 'John'. I live in Melbourne, Australia. We dance it often here but it would seem that the creator W.J.Crook comes from Stanford U.K. There seems to be much confusion about Australian New Vogue classification. To me a characteristic is a variation of the 3/4 movement, beats and steps. Russ Heskith's President's Daughter's Waltz is a good example. More like Slows and Quicks, in 3/4 time. i am currently struggling with the seasoned, and difficult, Gaiety Waltz. Also I must say that on this page there is the ongoing confusion regarding Beats per Minute and Bars per Minute. Forgive me if I'm wrong, but these descriptions above are wrong in that regard. I will stand to be corrected. 1/ If scripted in Australia (or NZ) then it's NV. 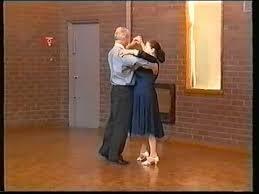 2/ If dance does not stay in ballroom hold ie. opens out then it's New Vogue. (In the UK this would make it Old Time). 3/ Those new fangled dances that I cannot learn. DanceSport only recognise 15 New Vogue dances – used for competition. There are hundreds of NV dances in Australia/NZ done socially. The only dances we do in Aus that the UK does not do is NV Waltzes. eg. President's Daughter's Waltz or any other waltz with a tempo of about 51 bars/min. The Emmerdale is about 29 bars/min. This slower tempo is also done in the UK. I did send an email to this site querying the Emmerdale but no response, I added a comment here and still no answer. 1/ 30 bars/min for English Modern Sequence dances eg. Emmerdale, Alpha. 2/ 50 bars/min for NV Waltzes. eg. PD Waltz. Russ Hesketh describes his new waltz called Opus Five Waltz as New Vogue. It has a tempo of about 30 bars/min and uses traditional dance holds like any English Modern Sequence Dance. If the Alpha Waltz had been scripted in Aus then it would be NV. As a matter of interest I have just noticed that the description of the dance has been fixed which is great. It no longer describe the Emmerdale as a New Vogue dance. A good web site evolves like this one does. Hi Laurie Edward. Looks like a typo above with the beats and the bars mixed up. And crazier still in the Evening Three Step there is a three step to 4/4 music.